Thank you for your interest in our used cars, trucks, vans, and SUVs. 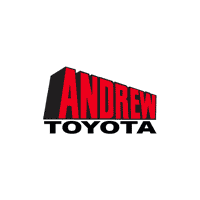 At Andrew Toyota we want to provide you with a transparent, efficient, and easy purchase process. You don’t have to go to those “Other Guys” to get a great deal on used Chevrolet, Ford, Toyota, Honda, Nissan, or several other Make vehicles. Shop by Make below to explore our inventory. Why Buy A Used Car From Andrew Toyota? Include Andrew Care In The Purchase Price: A 2-year/ 25,000 mile pre-paid maintenance plan is included in the purchase price of all eligible pre-owned vehicles. 2 Learn More About Andrew Care. Provide You With Local Trade-In Vehicles: Several one owner AND bought/ serviced here! Give You Personal Car Fax Reports: Ask us for the print out when you come in for your test-drive! Supply Transparent Pricing and Vehicle Details: Value Reports are available on all used vehicles. Show You High Quality Vehicles: We will prove it and show you the reconditioning RO! Make Your Vehicle Search As Easy As Possible: Read our DealerRater.com reviews from our customers. Longer Service Hours: Our hours are designed to fit YOUR schedule. Monday through Thursday we are open 7AM to 7PM, Friday 7AM to 5PM, Saturday 8AM to 4PM. Click Here to learn more. Service Loyalty Program: Clients can sign up at the dealership for free and get 3% back on every dollar they spend in the Andrew Toyota Service Department. CLICK HERE to learn more. Service Deals: We update our service coupons monthly to make sure we are always providing the best service deals to our clients. 2 Excluded Used Vehicles: European, Diesel Engine, Electric, Fuel-Cell, Fleet purchase, customers who are unable to complete services at our dealership. The services and coupons will only be honored at Andrew Toyota. There are NO model year or mileage restrictions. Additional services may be recommended by the Andrew Toyota service staff. These additional services are not covered by your Agreement and are your responsibility. The use of a synthetic grade engine oil may be indicated for your vehicle. Synthetic oil and filter changes may be required less often. Consult your vehicle’s scheduled maintenance guide for factory-recommended oil grade and service intervals. 2005 model year and later Toyota vehicles are not eligible for 7,500-mile interval plans, except all FR-S/Toyota 86 and iA models are eligible.